Winter is coming. 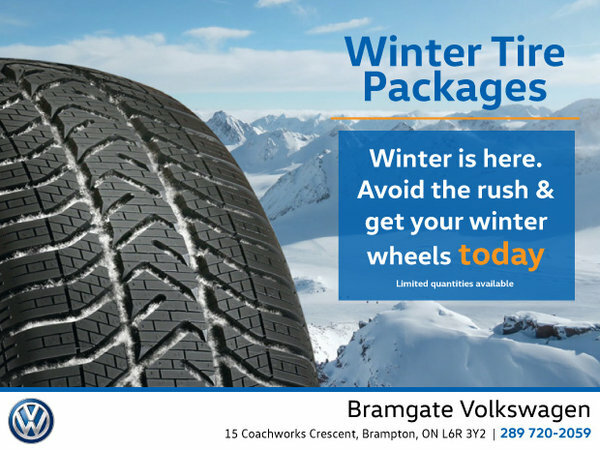 Avoid the rush and get your winter wheels today. Click on the button below to view our 2018-19 Winter Wheel Packages. Limited quantities available. Some conditions may apply. Pricing does not include applicable taxes or installation fees. Offer is subject to change or cancellation at any time. Please speak with your Bramgate Volkswagen Aftersales or Parts Consultant for full details.